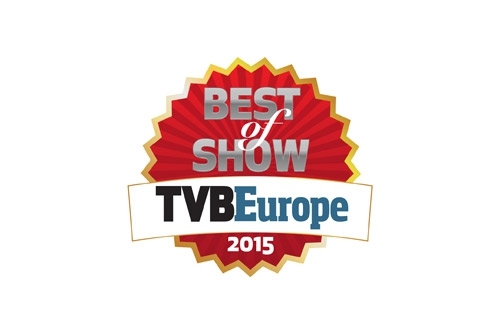 Bridge Technologies scooped Newbay Media’s Best of Show award at IBC 2015 for its Gold TS Protection monitoring technology. Developed during several years of R&D, Gold TS Protection is a radical innovation addressing serious operational issues in digital media monitoring; the complexity of the industry standard (ETR290); the lack of industry knowledge and expertise of ETR290; and the incompleteness of ETR290 as a basis for testing all the important elements of a digital media service. Gold TS resolves these problems and provides a much higher degree of real-world service quality protection. “Gold TS Protection is the result of thinking outside the box,” said Simen Frostad, Chairman of Bridge Technologies. “As a company we do a lot of that, and our development team works very hard to bring these ideas into reality. Gold TS Protection makes monitoring for digital services much quicker to set up, and fault-tracking much faster, more accurate and secure. It encompasses advanced ETR290 analysis but it both simplifies the setup enormously and provides a much more accurate and comprehensive monitoring safety-net which catches those error conditions that fall through the ETR290 cracks. The automatic fault tracking provided with Gold TS Protection is based not only on the explicit ETR290 checks but also on those otherwise ‘ETR290 legal’ error conditions which the operator must remedy to maintain good service levels. Gold TS Protection makes monitoring for digital services much quicker to set up, and fault-tracking much faster, more accurate and secure. It encompasses advanced ETR290 analysis but it both simplifies the setup enormously and provides a much more accurate and comprehensive monitoring safety-net which catches those error condition that fall through the ETR290 cracks. The automatic fault tracking provided with Gold TS Protection is based not only on the explicit ETR290 checks but also on those otherwise ‘ETR290 legal’ error conditions which the operator must remedy to maintain good service levels.